This introduction offers a critical synthesis of contrasting approaches to defining the literary-historical ‘epoch’ of German Expressionism, and it includes new findings on neglected topics such as ‘female Expressionists’ and ‘judaic perspectives’. Part one sketches the foundations of literary-historical periodisation in general, and of the period-term ‘Expressionism’ in particular. Part two provides a critical historical survey of the formation, critique, and revision of this term. Part three takes stock of the main problems of concern for Expressionist literature, and it identifies the epoch-specific perspectives on such problems. 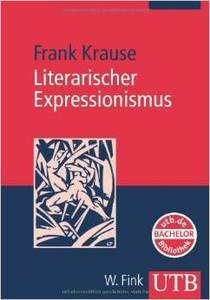 Part four gives an overview of Expressionism’s main literary methods and genres.